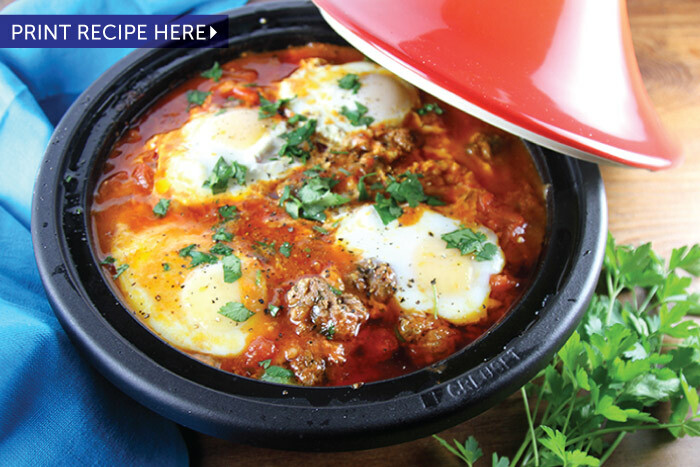 This tagine dish brings a new, savory twist to meatballs - complete with warming spices, fresh herbs, and a rich saffron-tomato sauce. A popular dish in Morocco, you can make these meatballs with lamb or beef, or a combination of both meats. 1. 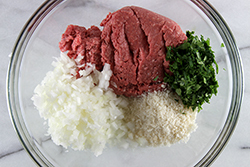 Mix all meatball ingredients together by hand in a large bowl until combined. 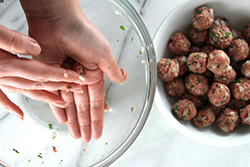 Roll meatballs into 1-inch balls. 2. On the stovetop, in a medium to large-sized tagine (or Dutch oven), heat butter and olive oil on medium heat until sizzling. 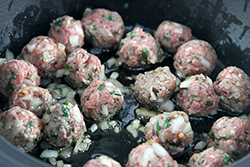 Carefully place a single layer of meatballs in the tagine, slowly turning until each meatball is browned on every side. Remove from the pan and set aside. Brown the meatballs in several batches, one single layer at a time. 3. Once all the meatballs are browned, start the sauce in the tagine. 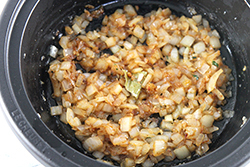 Add another tablespoon of butter (if needed) then add the onions and sauté until translucent. Add garlic and spices, and continue to cook until fragrant, about 1-2 minutes. 4. 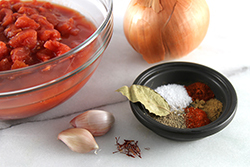 Add the diced tomatoes and tomato paste, and stir. 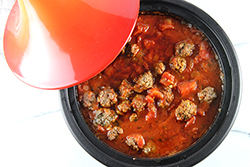 Cover with the tagine lid, and bring the sauce to a simmer, then add browned meatballs. Keep the heat on low, and the tagine covered, while simmering for 30-35 minutes until the meatballs are fully cooked through. 5. 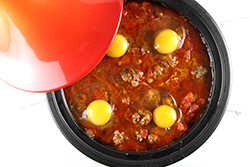 Once the meatballs are cooked, carefully crack 4 eggs on top of the stew. Cover and continue simmering on low until the eggs are cooked to your liking. 6. Garnish with fresh parsley and cilantro. 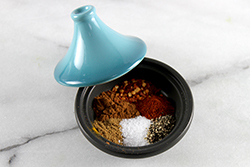 Serve hot with warm bread (or pita), or over couscous, rice, or noodles.